The RAF aircraft is considered the best option for a quick replacement. A RAF C-130 could became the new Blue Angels "Fat Albert". The Naval Air Systems Command posted a single-source contract announcement on March 23 about the acquisition of a new transport aircraft for the Navy's Flight Demonstration Team Blue Angels. The Department of the Navy looks exclusively at a RAF C-130J, it is the only aircraft considered suitable to replace the "Fat Albert" transport aircraft in a short time. The Naval Air Systems Command (NAVAIR) intends to negotiate and award a sole source contract with the United Kingdom Ministry of Defence (MOD), Whitehall, London, United Kingdom for the procurement of one (1) C-130J under the authority of FAR 6.302-1, "Only One Responsible Source and No Other Supplies or Services Will Satisfy Agency Requirements." The Government requires a suitable replacement aircraft, which must be delivered in an expeditious manner, to avoid a gap in logistical support of the Blue Angels flight demonstration squadron. The aircraft being procured from the UK MOD has the requisite amount of life and technical capability to support the Blue Angels mission. Procurement of a comparable replacement C-130J from any source other than the UK MOD would create an unacceptable increase in program cost and delay in fielding this critical capability. 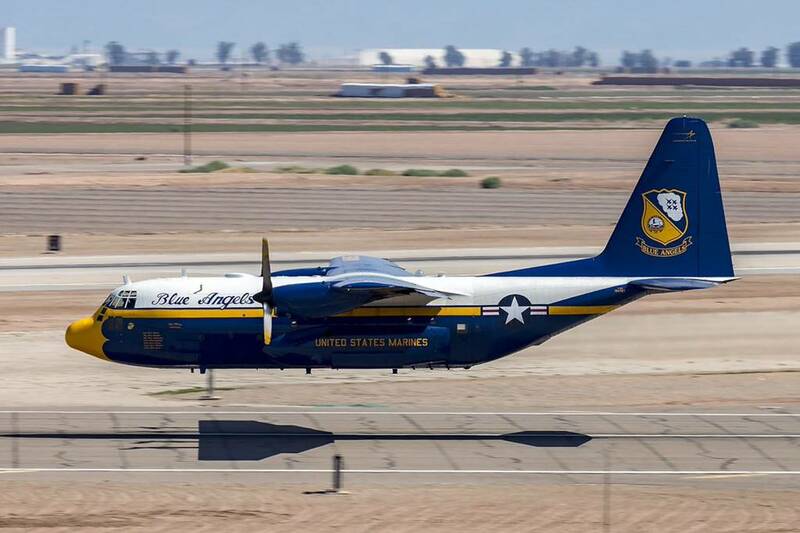 Fat Albert is the Blue Angels’ support plane, but it flies its own solo performance at air shows, demonstrating the surprising nimbleness of the four-turboprop transport. It is best known for its amazing Jet-Assisted Take-Off (JATO) performance. Eight solid fuel JATO rocket bottles, each producing 1,000 pounds of thrust, helped propel Fat Albert skyward and captivated millions of spectators each year, starting in 1975. These JATO bottles were made to help heavy aircraft take off from short, unimproved runways. Unfortunately the Blue Angels used up the last known stockpile of JATO bottles in their 2009 show season.